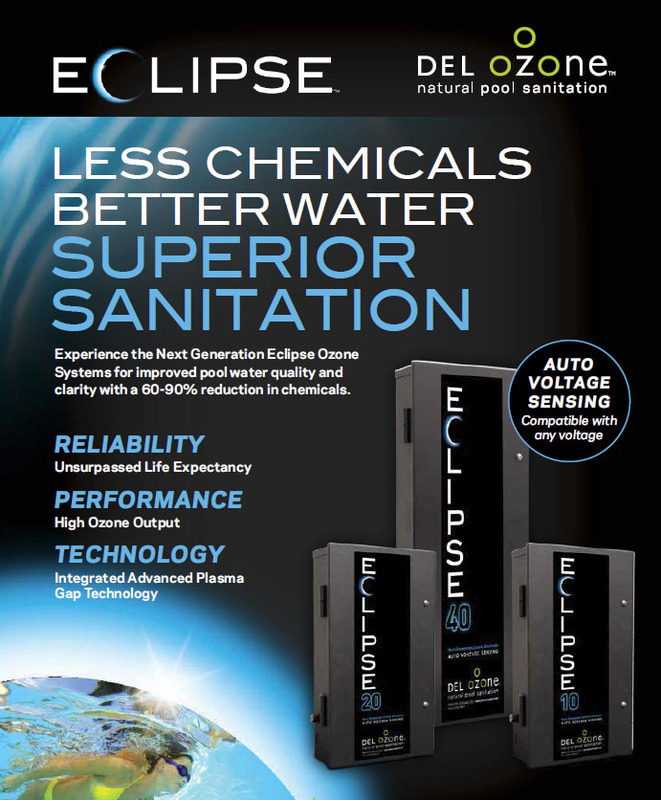 The Eclipse Series Next Generation Corona Discharge systems provide the cleanest, clearest water for your pool, with a significant reduction in chlorine use. Featuring DEL’s exclusive Advanced Plasma Gap technology, the newly engineered design is now equipped with Auto Voltage Sensing. 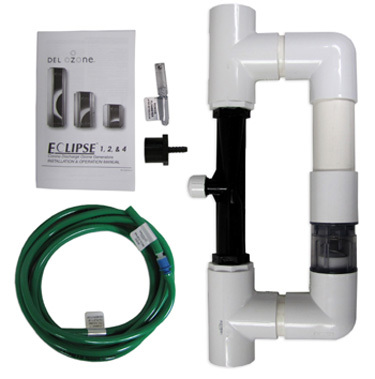 Improve your pool water quality and clarity with a DEL Ozone system. 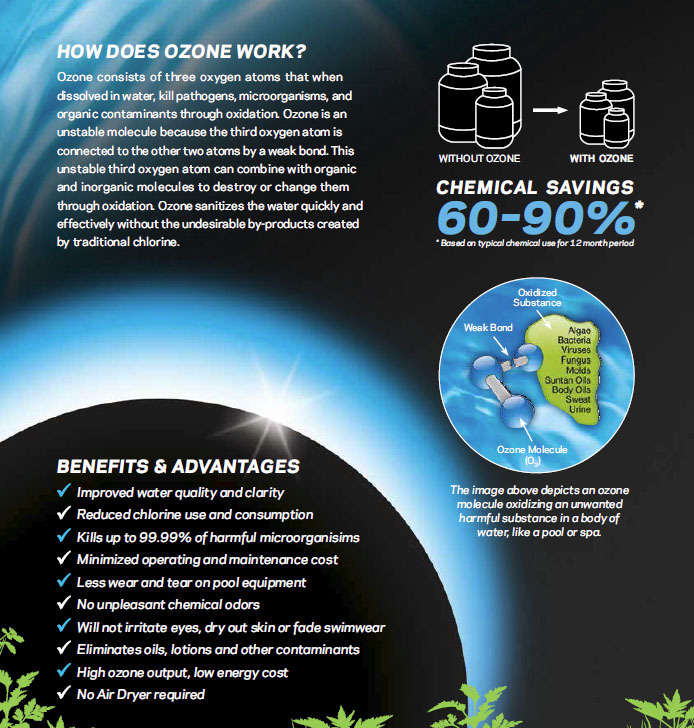 DEL Ozone is the dominant supplier of ozone sanitation products to the residential pool and hot tub / spa markets. 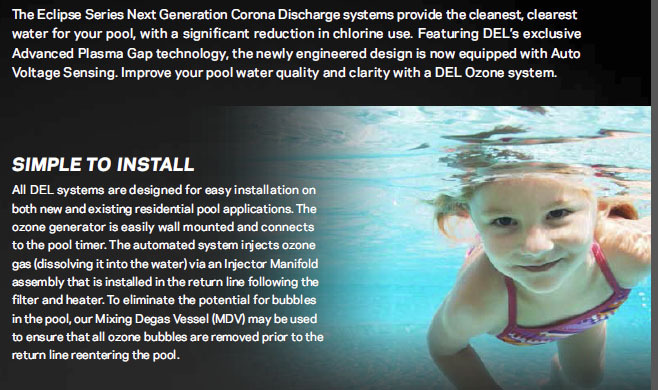 DEL systems simplify sanitation for owners of spa and pools, while ensuring effective health and safety for their families. 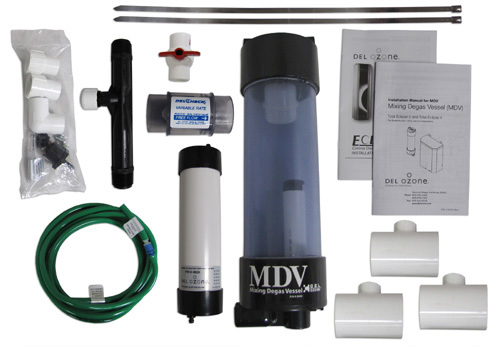 The greatly improved spa or pool water is a terrific bonus! 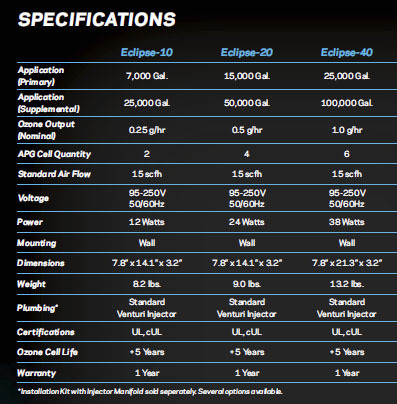 All systems are vacuum operated for safety and efficiency.